If you are looking for timeshare solutions to common timeshare problems then you have come to the right blog. 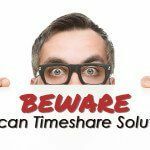 Here are some easy timeshare solutions to the most frequent timeshare issues that affect the major timeshare companies. Some people find that it is difficult to book the dates they really need to secure their timeshare, especially around the holidays and school vacations. The simple timeshare solution to this problem is to reserve as early as possible, as soon as you know the dates that you wish to travel. Most good timeshare companies accept reservations up to a 2 years in advance. Maintenance fees can become a problem if timeshare members run into financial difficulties. Rather than risk losing your timeshare investment, the best timeshare solution would be to rent your timeshare to friends and family to cover your maintenance fees or rent it privately to make a bit of extra cash too. Not everyone has the luxury of being able to take a vacation every year, but the idea of owning a vacation property doesn’t have to be a pipe dream. Most reputable timeshare companies offer biannual membership which means that you can access your timeshare every other year. This option is cheaper yet you get lots of the benefits of vacation ownership. Most people who aren’t familiar with the reality of timeshare think that you have to stay in the same suite at the same resort each time you vacation. While this is true of old style fixed week timeshares, most vacation clubs are flexible, many of which have points schemes which allow you to use your timeshare points how you like. That means you can often stay in a larger suite for a shorter time or a smaller suite for longer. Some vacation clubs will let you borrow and bank points too. A timeshare solution in the event of death or divorce is to share the time equally between both parties, which is easy if you have a points based timeshare, where you simply divide up the points or travel on alternate years. Another solution is to rent your timeshare each year and share the income. Selling your timeshare is also an option but far less lucrative. 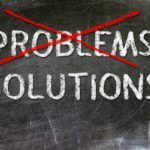 Share the post "Seeking Timeshare Solutions"
What are the repercussions if I don’t pay my timeshare?